One of my favorite things about this pattern is the gathering on both the front and back as well as the pleats at the bottom. 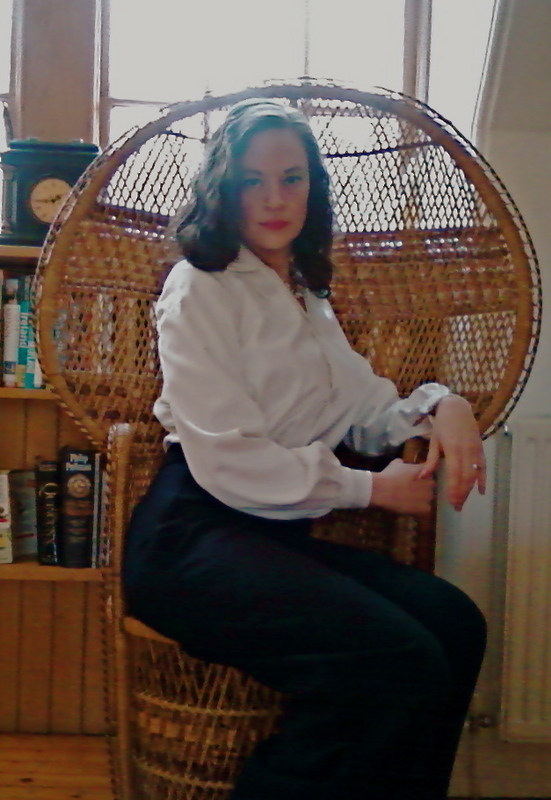 It really looks best with high-waisted trousers (in fact the final blouse length and the pleats make it more difficult to wear with normal waisted trousers). 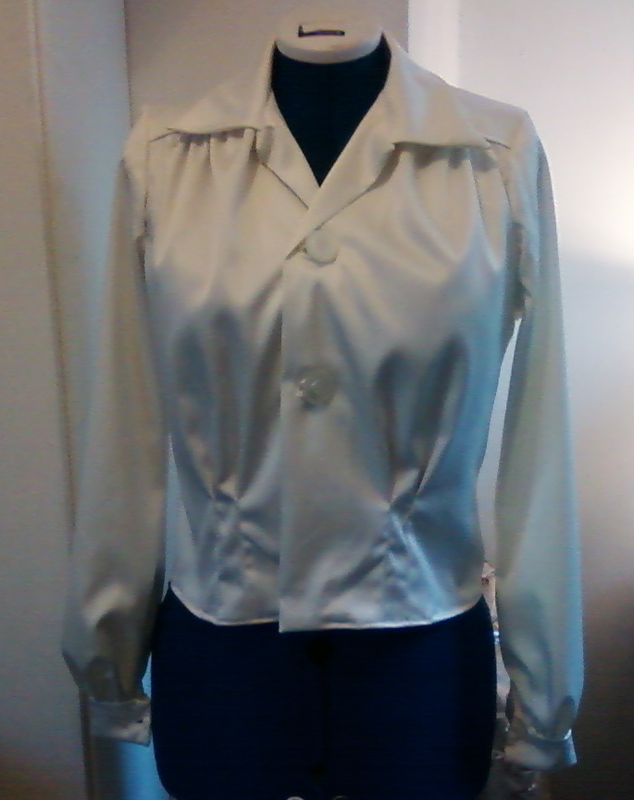 I have to say that one of the greatest things about sewing is getting a garment to fit your body perfectly. 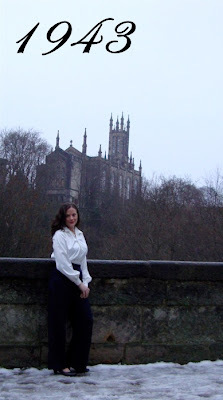 One of my biggest problems with blouses is the long-sleeves tend to run slightly short on me. 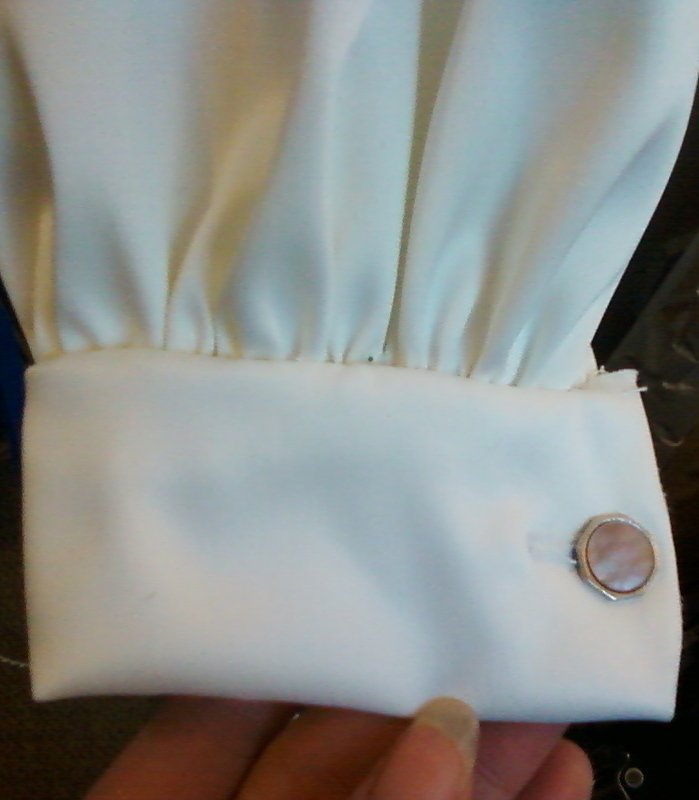 Now I can lengthen the sleeves--so it's just right. Also, don't forget to leave a comment to be entered in the pattern giveaway. It's open until midnight UK time and I'll be choosing and posting the winners tomorrow! What a beautifully classic piece! Wow, you look so very Katherine Hepburn and topstitching is so perfect! I love it! I'm a bit nervous about trying a long sleeved shirt for the first time, but yours looks great. This is such a lovely blouse and I love the pictures! I agree with Lisette, very Katherine Hepburn. Love the gathering and the darts around the waist. 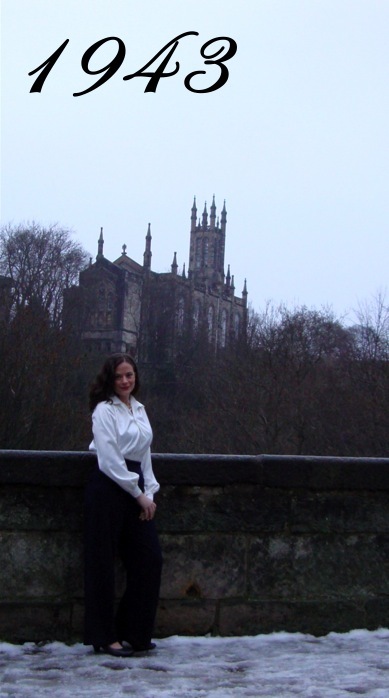 The blouse is beautiful; the fullness really shows off the wonderful fabric! Also, it fits and suits you perfectly. I'm looking forward to all the sewing you've planned for this year! Lovely blouse. I love that period in style history;problem is I feel I am too old to wear it now. I adore the McCall 789 stitchery and would really like to stitch it for my daughters cottage. I have been searching the internet but no luck can you let me know where you found it or is it possible to purchase the pattern and instructions from you ? Beautiful! I'm a newbie to sewing - just coping with alterations at the moment and haven't progressed to patterns quite yet! Wow, loot at that blouse, and look at you, excellent work! Can't wait for the next one. So classic, so chic, so wearable! You knocked this one out of the park. Oh it came out so lovely! And I love that last pic of you- you don't look as though you'd just sprinted and quickly posed at all. Well done once again! Very nice! It turned out great! It's very classic. The blouse is fantastic! The topstitch on the blouse looks amazing, very clean and neat stitches. I love the width of the sleeves, so elegant. I have to say there you have a very strong resemblance to Lauren Bacall in the last photograph. Absolutely smashing! You look soooo chic! I love the cufflinks - they look so professional. I have never seen silk taffeta fabric, but your blouse makes me want to sew with it. The blouse is beautiful and you look great in it. What a lot of work and effort but every bit paid off. You did a wonderful job! The blouse looks very elegant and that photo of you in the chair peacock is very romantic. Lovely! I can not wait to see what new project is in your head. Love the blouse, the chair, the camera ingenuity and the Katherine Hepburn look in that last photo! Well done you! this is so gorgeous! the stitching is so detailed! great job!